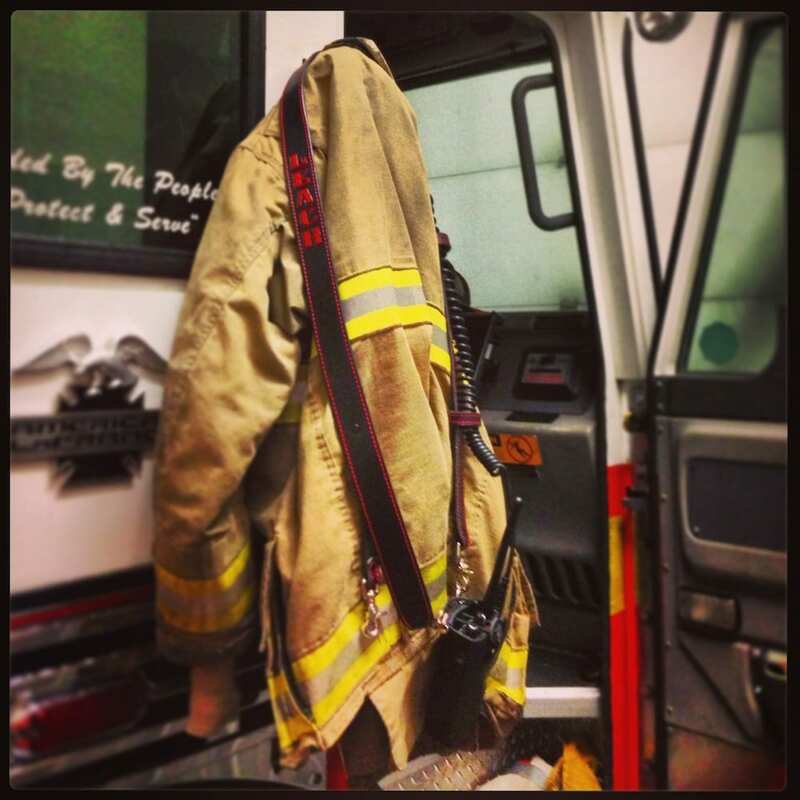 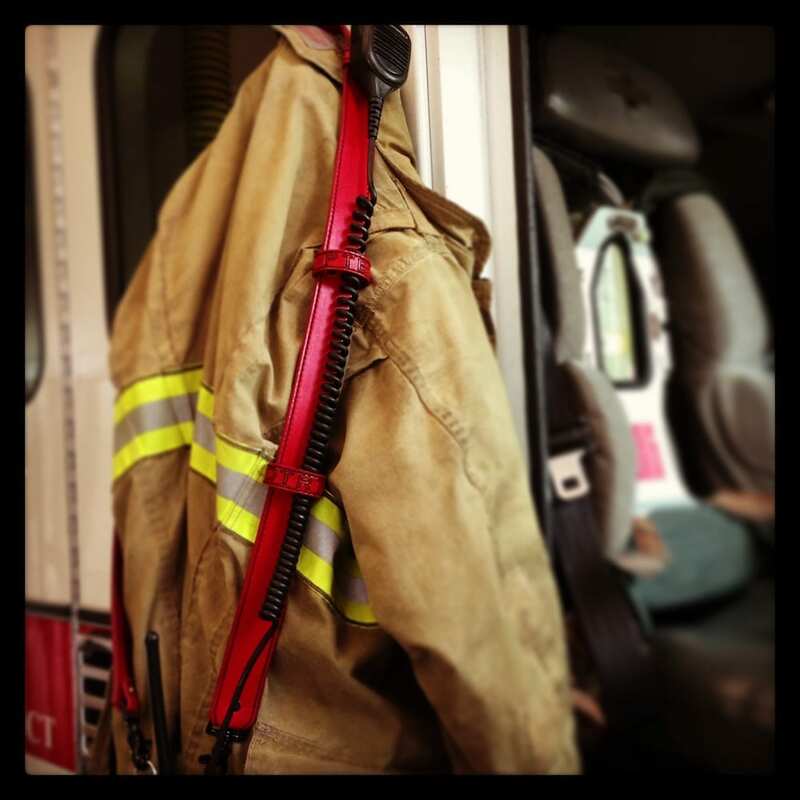 Our radio straps are set up with better options than your typical store bought straps. 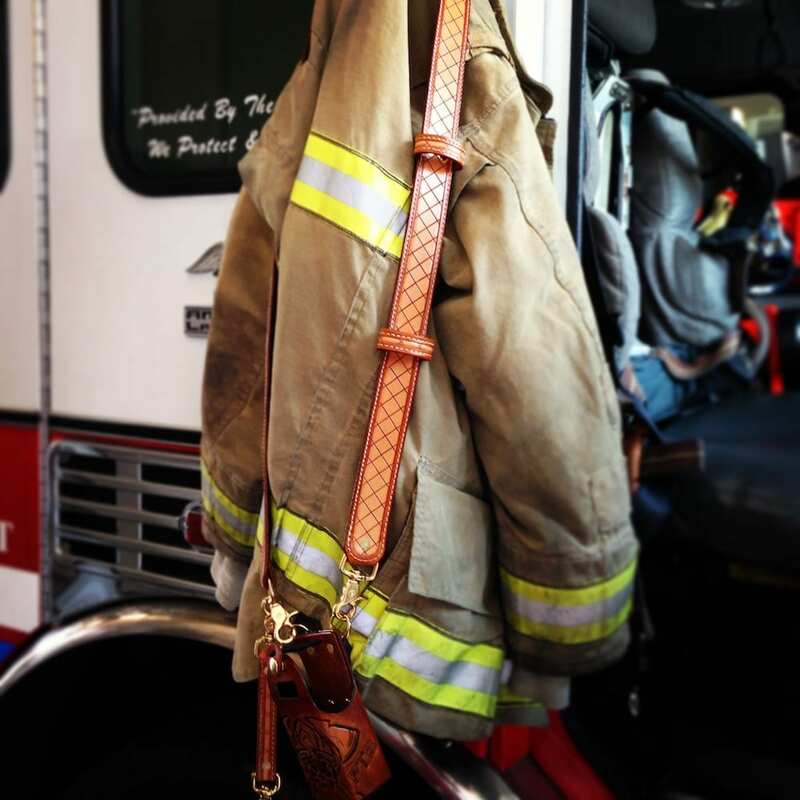 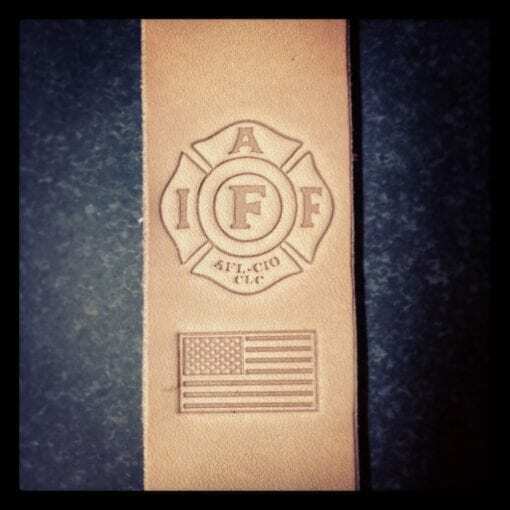 Each strap is handmade, hand painted and finished, and made in the good old USA by a working fireman. See below for full description. These straps eliminate the unnecessary bulk and added weight of the buckle, as well as the possibility of a buckle coming undone while you’re doin’ it. 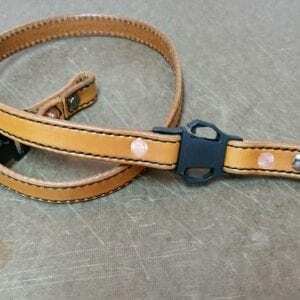 If the strap is customized to you, there should generally be no need for adjustment in length! We can add a snap to one side of the cord keeper to allow for larger lapel connectors to fit through the keepers, while maintaining a reasonable hold on the cord. 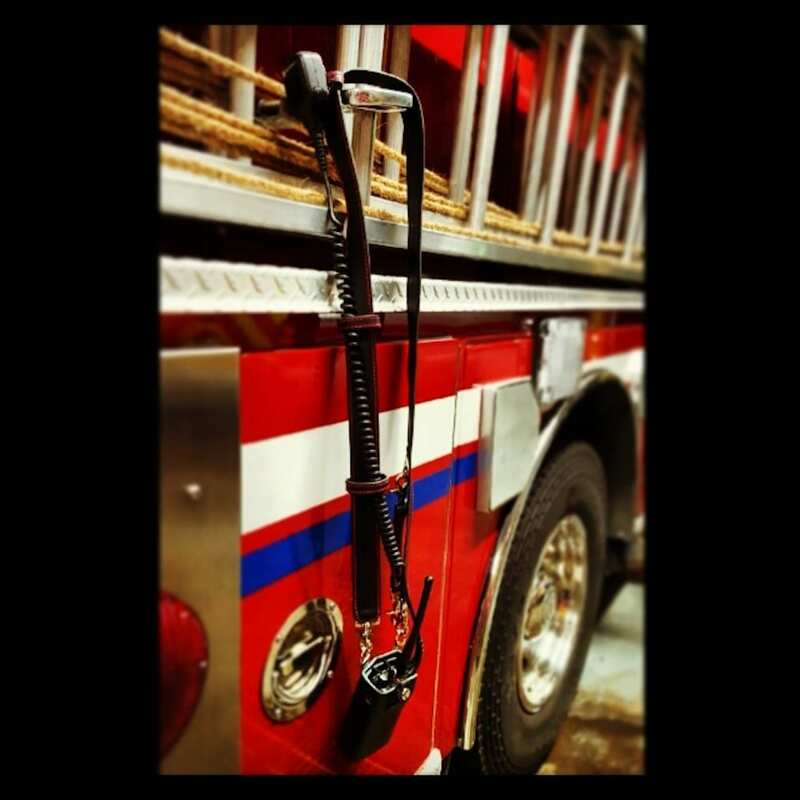 Our anti-sway strap anchor is set higher on the strap to prevent bunching or pulling of clothing or bunker gear, and can also be moved from side to side. Each strap comes standard with your name or text embossed up to 12 letters, with two colors included on the text, one embossed “stock” stamp no color (see options). 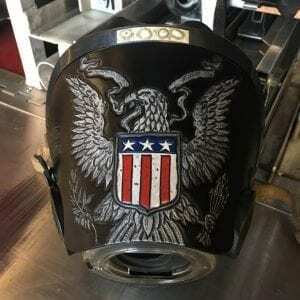 Each additional color above the included two, or to have the stock stamp painted is at an additional $10, please contact prior to ordering to ensure its available. 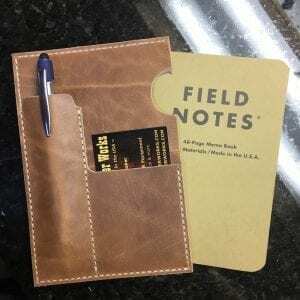 Your choice color of stitching, or none at all. 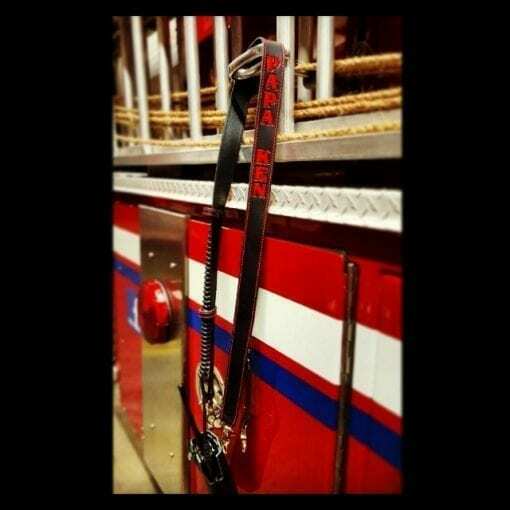 Shoulder strap only, no anti-sway strap or bucket.